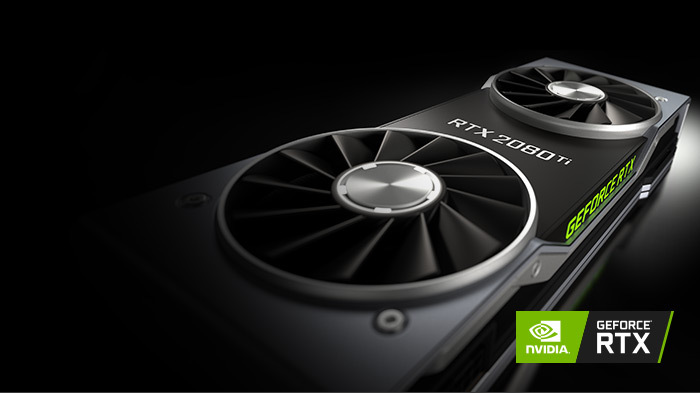 NVIDIA’s AIB partners are planning to start the new year with a round of new custom models for the GeForce RTX 2080 Ti graphics cards. 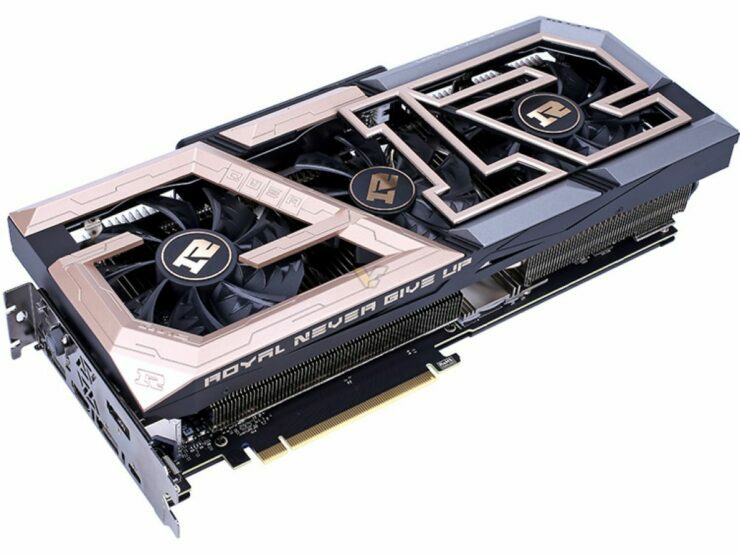 Board partners usually keep their top-performing cards for the end and since the RTX 2080 Ti has been out for such a long time now and with CES 2019 fast approaching, it seems like the perfect opportunity for manufacturers to unveil their flagship variants. The list includes some of the top-tier AIB partners of NVIDIA, namely MSI, ZOTAC and Colorful. 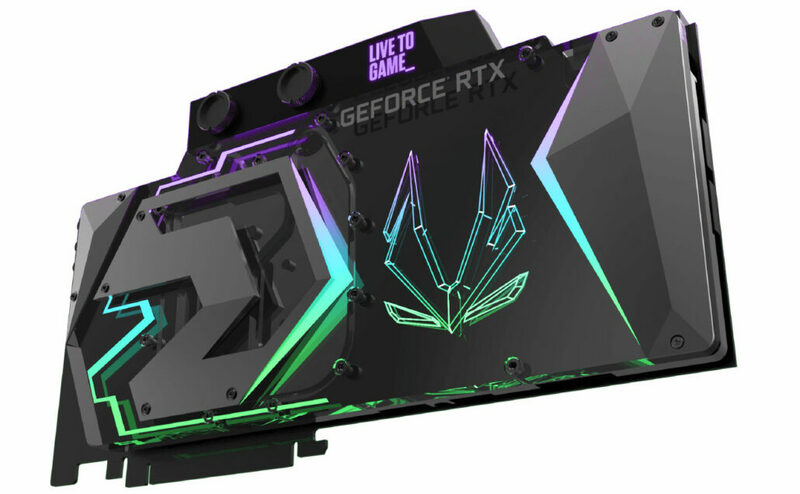 All three manufacturers have something for 2019 and let’s start off with Colorful, who have officially revealed their new GeForce RTX 20 RGN series graphics cards. By officially, I mean that the rest of the cards are either leaked or just teased upon by the respective manufacturer. 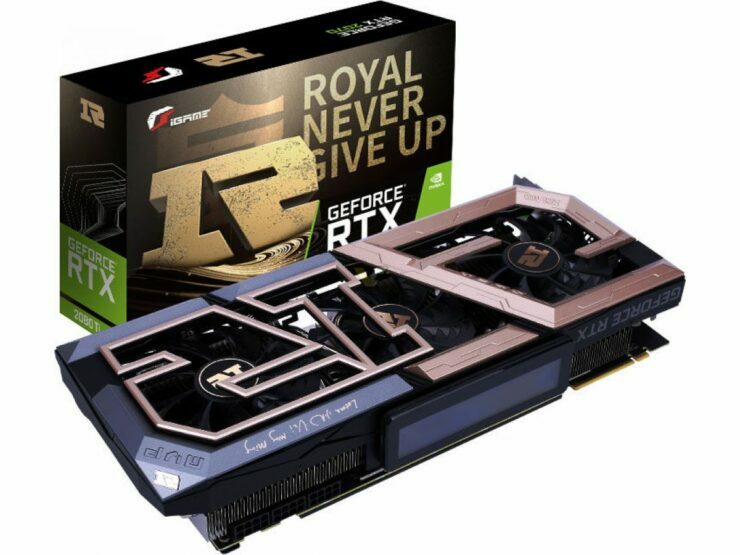 Posted by Videocardz, the Colorful GeForce RTX 20 RNG series includes both RTX 2080 Ti and RTX 2080 graphics card. The specifications are similar to the existing Founders Edition with the clocks being the only difference. 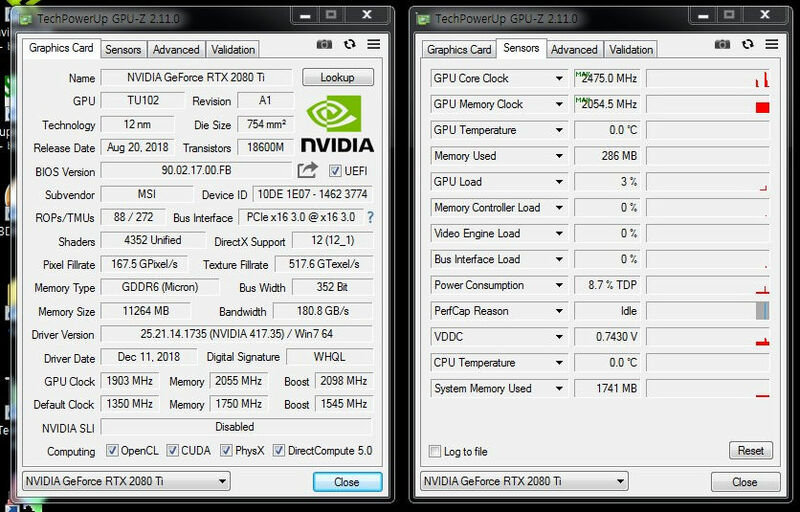 The Colorful iGame GeForce RTX 2080 Ti RNG runs at 1740 MHz out of the box. It supports a 2.5 slot design and has a triple fan cooler with the shroud extending beyond the PCB. The graphics card makes use of a large aluminum fin heatsink array which appears to be two separate blocks, connected through heat pipes. 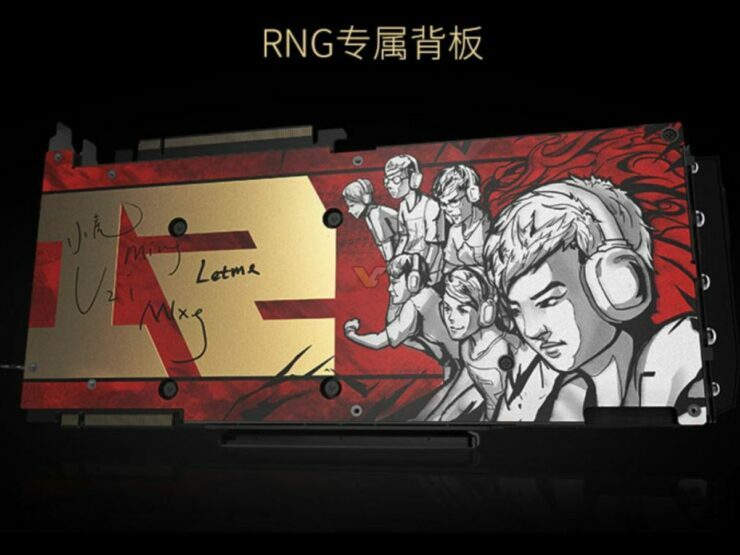 The card is powered by three 8-pin connectors and uses a dual shade color on the front shroud and a fancy backplate which is marketed around the RNG clan with signatures of the team on the front and back of the card. Display outputs include triple DisplayPorts, a single HDMI and a single USB Type-C port. There’s also a dial on the back which enables the OC BIOS. The standout feature of this card is obviously the 2-inch full-color LCD which will be compatible with the iGame Zone II application and features some nifty details of the card, or if you want, it can loop GIFs for you. 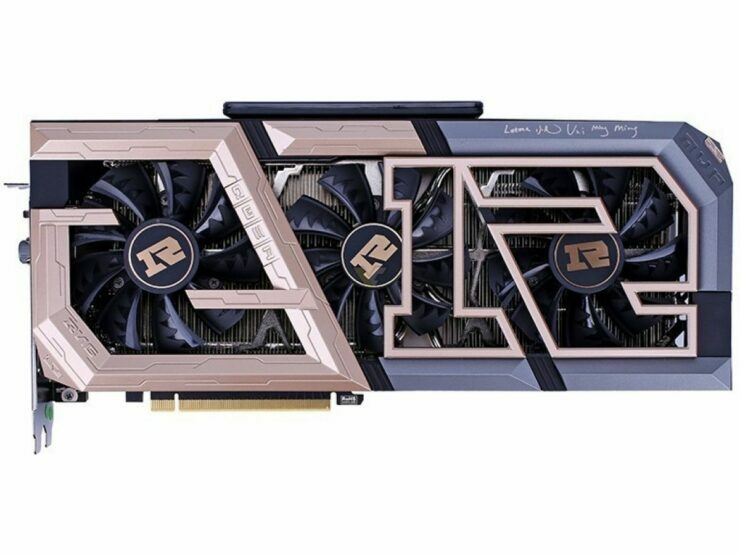 MSI’s GeForce RTX 2080 TI Lightning Z – The Thor of Graphics Cards! 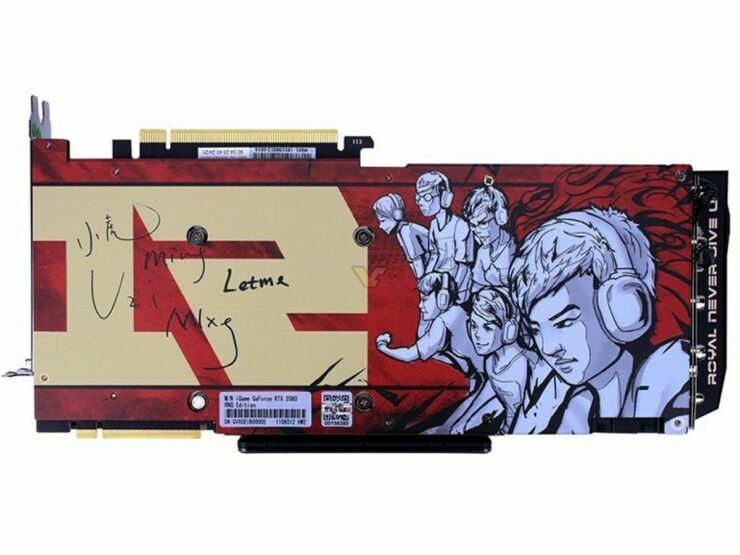 If there’s one card from MSI we all love to see, it’s the Lightning. 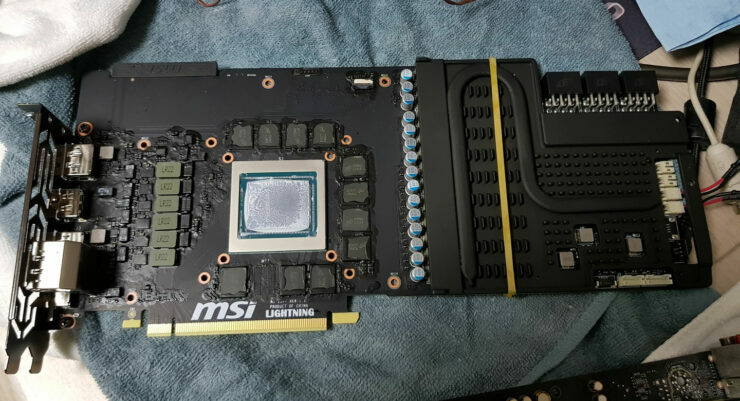 MSI’s Lightning graphics cards are the flagship products from the manufacturer and are some of the best on the overclocking scene. 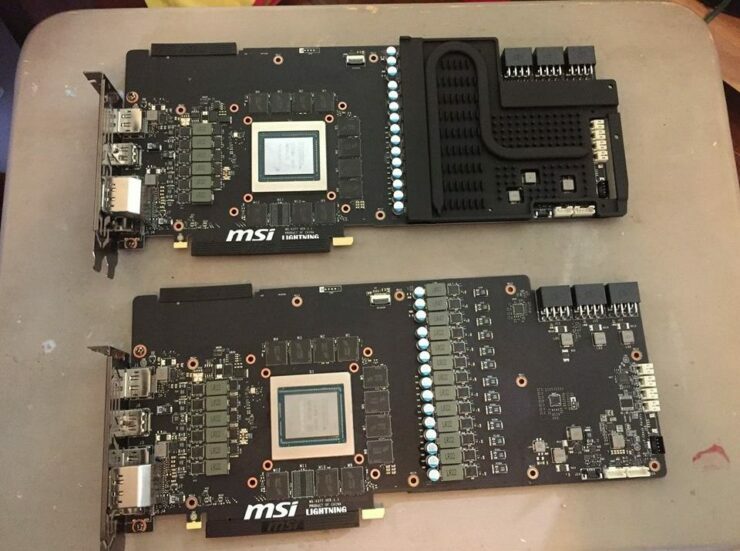 It looks like MSI will be continuing the tradition of offering a high-end Lightning variant with Turing as the PCB of the Lightning Z model for the GeForce RTX 2080 Ti has been leaked out by overclockers at HWBOT (Via Videocardz). 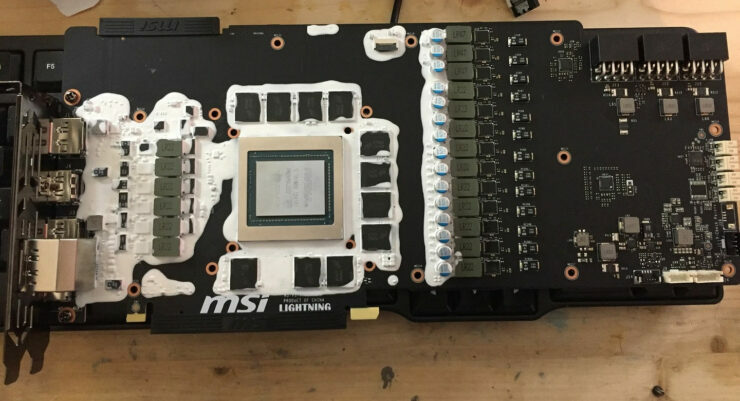 From the looks of it, the MSI GeForce RTX 2080 Ti Lightning Z will go all out with a custom PCB designed for LN2 overclockers. It will feature a 19 phase VRM design and utilizes three 8-pin connectors to boot. There are three additional connectors on the back of the card for further tweaking which would most definitely be of no use for regular users. 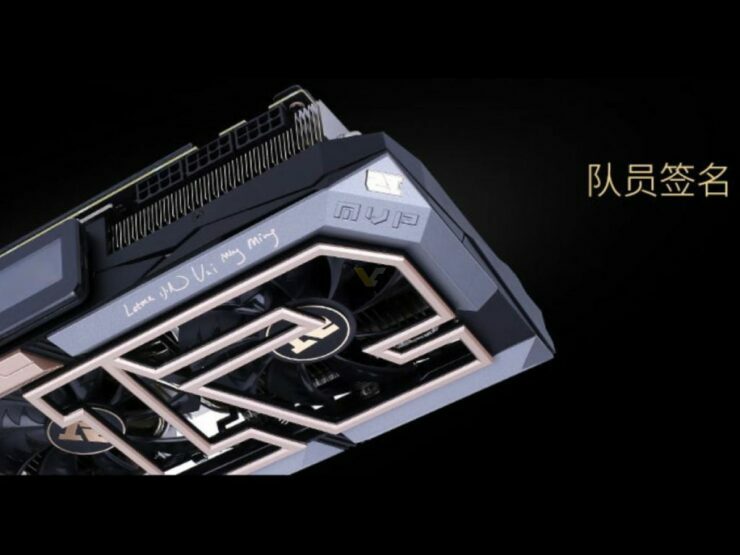 It also looks like the MSI GeForce RTX 2080 Ti Lightning will feature a new revision of the VRM heatsink which they used on the GTX 1080 Ti Lightning Z, this time its full cover design. The heat pipe seems to be of the same dimensions as last time. The clock speeds and the rest of the cooler are not pictured, but it was spotted running at clock speeds of as high as 2450 MHz. 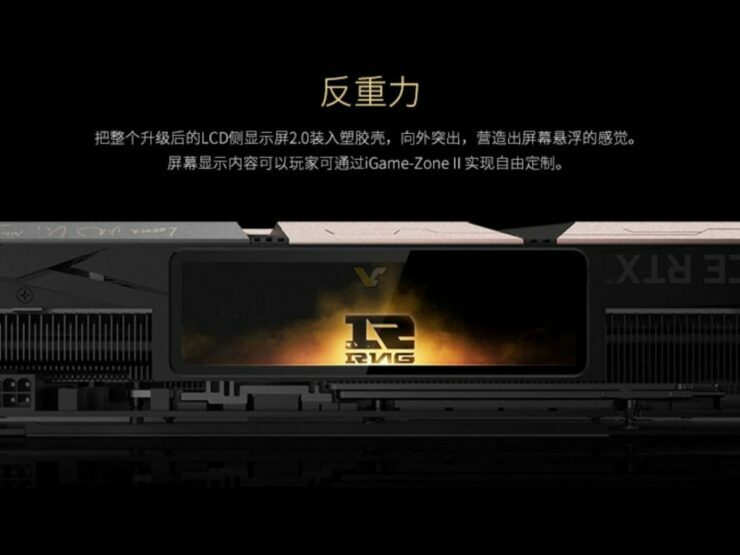 The cooler might end up being similar to the Gaming X Trio with triple fan layout. The Gaming X Trio is a very impressive cooler design by itself, but MSI knows to make the Lightning Z stand out from even their best solution at the moment. I think this generation, we have seen some really unique and beautiful full cover, fully custom water block implementations on graphics cards by AIBs. AORUS being one of them with their ridiculously good looking AORUS Xtreme Waterforce design. ZOTAC is planning to offer their own full-cover water block solution with the GeForce RTX 2080 Ti ArcticStorm. 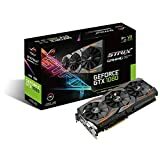 The graphics card has a really great design scheme with an illuminated shroud and exposed surface with a touch of RGB. 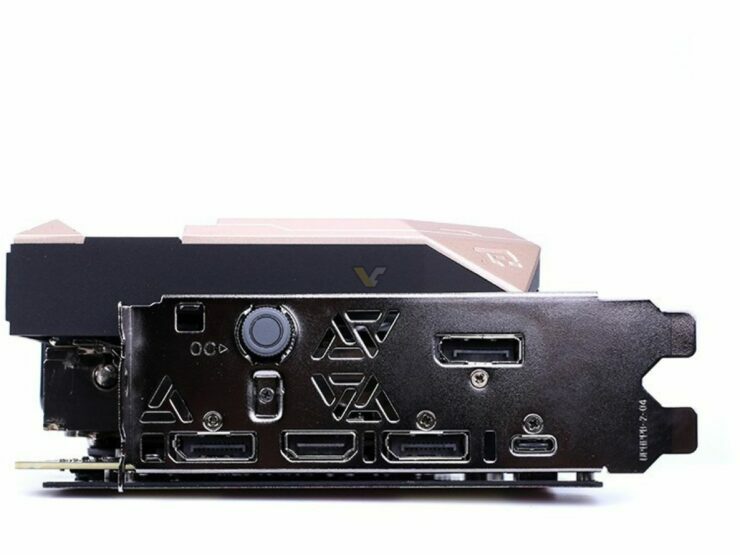 There are no specifications available as of right now but Videocardz mentions that the card would be launching at CES 2019 which starts next week.